Salta Properties has commenced construction on the latest building in its thriving business precinct in Mulgrave, Victoria, Nexus Corporate, after signing a 10-year lease with childcare provider, Platypus Junction. The pre-lease, secured by Travis Myerscough and Ash Dean of Colliers International, will see Platypus Junction occupy 1,400sqm of 5 Nexus Court. Salta Properties’ Managing Director, Sam Tarascio, said the addition of childcare services to the precinct made Nexus Corporate an ideal place to work. “Nexus Corporate continues to attract the very best companies because it provides quality amenities that enable our tenant’s employees to balance their work and personal lives,” Mr Tarascio said. 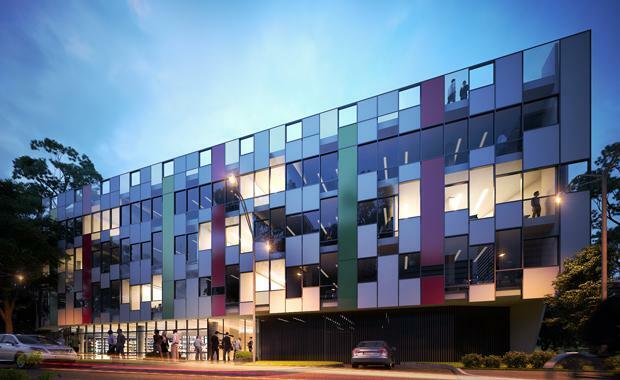 Platypus Junction will occupy the top two floors of the four-level building and offer places for 110 children, with Nexus Corporate-based employees receiving priority placements. “Nexus Corporate was an attractive option for Platypus Junction not only for its quality amenity and strong location but also for the opportunity to be located within close proximity to so many major corporate tenants within the precinct, including ADP, United Energy, Bristol Myers Squibb and IAG,” Mr Myerscough said. Mr Myerscough said the inclusion of lifestyle amenities such as childcare in a commercial precinct allowed businesses to offer their people stronger work-life balance, which was integral to the attraction and retention of quality staff. “Businesses are increasingly trying to make it easier for parents to drop off and pick up their children on their way to or from work, which in turn helps them get the most out of their work day,” he said. Construction of 5 Nexus Court commenced in February and on completion will also house a gym, medical centre and convenience store. On completion, Nexus Corporate will offer in excess of 100,000 sqm of premium office space making it the largest suburban office park in Victoria with an end value of more than $500million.